"Obviously, Capcom isn’t ready to announce any new games outside of Mega Man 11, but if this game does well it could lead to a revival across the brand. " Translation: we have a hostage on the moon, so you better buy our new game and give it positive reviews if you want to see your Volnutt friend ever again. Not that I wasn't planning on doing it already, as I'm kinda enjoying what I saw from MM11 so far. Still, food for thought. they can't (nor shouldn't) make games perpetually if they don't sell. cold fact of life. Shockingly, companies generally do need to see return on their initial investments before committing to further investments. That's not "food for thought", it's normal operating procedures. Hey! Don't hate on Megaman Legends ! Its one of the best games of Megaman! Classic, X, and Legends are the best series....and beside you won't be hating on Legends when they decided to make it open world like the Arkham series or Spiderman games. Oh wait that's right you'll just play side scrolling games with awesome backrounds and music, while we play legends on an open world basis ! Some of my friends who have never even played Mega Man are interested in buying Mega Man 11. This revival might be a great time to introduce new people to the series so Capcom will be persuaded to make more new games. I can't wait until the return of the beloved Blue Bomber! Same here. if peoples outside of us do buy this game, this might go well. Zero's not dead, the devs even went out of their way to say as much, and nobody is asking for another Zero game or at least not to any serious degree in large numbers, you seem like you are just false fagging a nonissue. Also people who do want a Battle Network sequel don't want one to continue the story, they want one to continue the gameplay, as the story was generally shallow and could be easily expanded upon. Most Battle Network fans with any sense want another Battle Network so that it could expand upon it's highly unique game design that no other game can offer an alternative to and other various unique properties of the series. Also people could ask for remastered Zero games even if he was dead. Basically people could ask for whatever they want. Live and let live. It wouldn't hurt a canonical light novel explaining how the biometals were created. Even if it is cryptic (or I don't know, a ZX3 which tells that story to some extent). I'd be down for a new Battle Network game, be it with playing as Patch and Jr. or hell, give us remakes of Phantom and Legend of Network. Capcom translation: "If Mega Man 11 doesn't sell unrealistically in the five million range, we'll take that as a confirmation from fans that people really don't want more Mega Man after all." no one ever asked that much sell. basically it's more "if it manage to sell not only among MM fan, but also gather some interest from others, it's good". Anon 2: Seriously, do you know what a joke is? I'll probably pick it up for two different consoles, so I'm doing my part! I gurantee you MM11 does not need to move 5 million units to profit. It's mid-tier budget. When is Megaman X's anniversary? I'm sure new MMX game will coming soon...! I doubt we'll have to wait for MMX anniversary to get a new one. 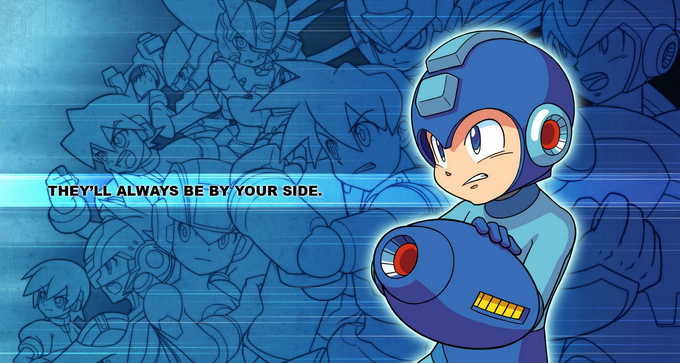 If MM11 does well, MMX9 could easily follow. I'm not a fan of the Battle Network series, or the Legends series, so I hope Capcom puts it's energy into other titles. The only series that I liked has been the original, X, and Zero series. X's 25th Anniversary is next year. As is Legends' 20th and Zero's 15th. I'll buy one for me, and two for friends who need to try Megaman. I'll also talk about it around me, the more peoples hear about it, the better. too many games don't sell as well as they could just because not enough people are aware of it to begin with. we have to spread the news outside of the MegaMan Fandom. (and by we, i mean both Capcom and the fans). On a side note, we have a habit of being snarky and sometime even pessimistic, but seriousely now one must admit that Capcom is doing a effort. Even the porting of Legacy Collection to every consoles is there just to ensure that people who would'nt want to play the 11th because they have not played others games before have the occasion to play them. You said everything, let's be positive and share the word! If not, it could go bad! I will buy it for sure! Let's say, more we will support each game who will be released, to show to capcom we like all the series, more all the series will be back, more people will be happy. Let's do what we can! Im still miffed about megaman legends 3 being canceled when it only had bugs remaining and some story that needed completed. The fans were promised a megaman legends 3 installment. Capcom kept canceling the installments, ontop of LITERALLY and RARELY ever advertising for the legends series over its entire duration when it came out (1 and 2 i dont recall EVER seeing advertising more than 5x tops in the entire time the legends 1 & 2 were released). Lack of advertising is part to blame. Add in every demand capcom made for getting fans motivated to show their support for the Legends series, capcom kept adding new "demands" to prove the interest. Continually abusing their fan basis. Is this going to be the same? ZX3. Please make ZX3. That would make me a very, very happy man.